CutMarks: Back in the workshop and taking part in the pallet wood up cycle challenge! Back in the workshop and taking part in the pallet wood up cycle challenge! It’s December and the countdown to Christmas has begun! Ahead of the game, we're actually up to date with all our present buying and wrapping! Although the dog did manage to find and tear open a box of chocolates! Luckily she didn't get into the box itself, but I now know what one of my presents is! I've been getting down and dirty in the workshop this week after my week of man flu. 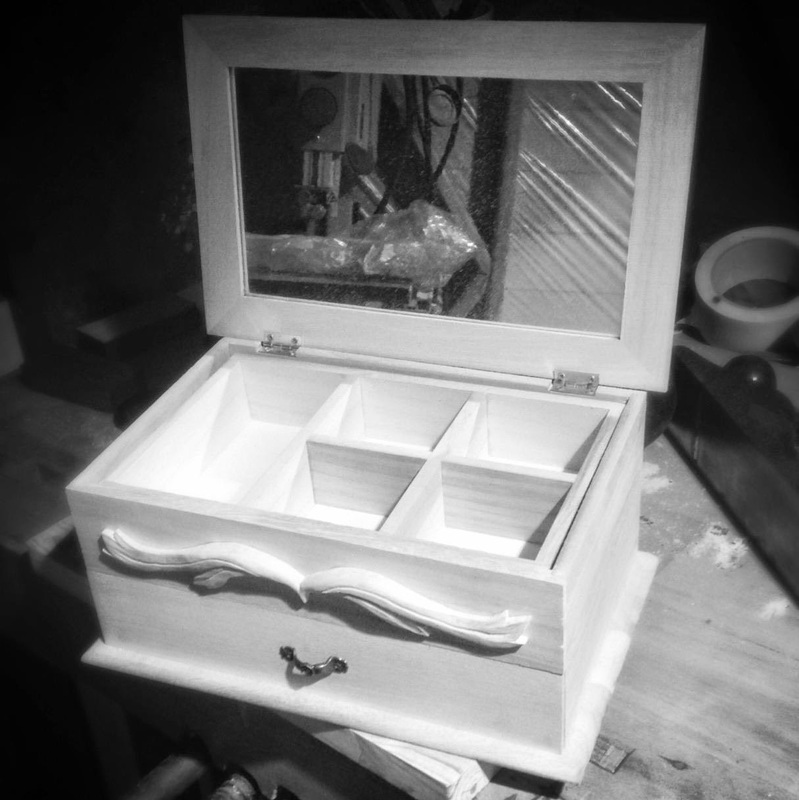 Delivered the drink cabinet shelves, and started work on the jewellery box. 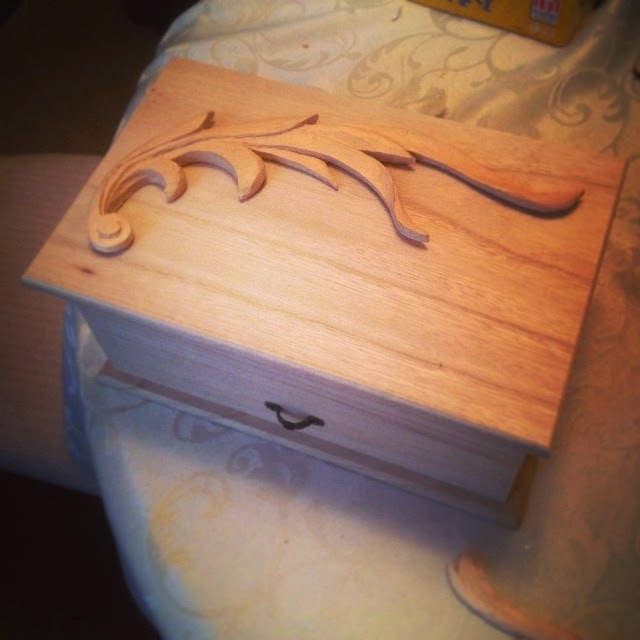 In my last blog I touched on the first carving to be attached, and I have now fully finished, and attached, both carvings to the box! Unfortunately I haven’t got a picture of both glued on together, but here are two pictures of them glued on individually. Lovely, quite pleased with how they look, and they didn’t take me too long to carve which is always a bonus! The guitar and cabinet projects seem to have both been left behind at the minute, which is actually frustrating me more than I think it should, but the time has been spent productively. If you’re not a woodworker, you may not be aware of Sterling Davis’ ‘Pallet up cycle challenge’. He is challenging woodworkers everywhere to get in their shops and create something solely from pallet wood. Not only are there great prizes to be won, but it’s a great opportunity to get in the workshop and create something for myself for once, and also to see everyone else’s take on how they up cycle pallet wood! If you haven’t seen it, Click Here for the play list of everyone’s entries so far and how to enter. The plan was to get my entry completely built in a day, but my camera’s battery kept dying and forcing me to continually stop, charge the battery, and have a cup of tea with my feet up! I know, I don’t know how I cope sometimes! 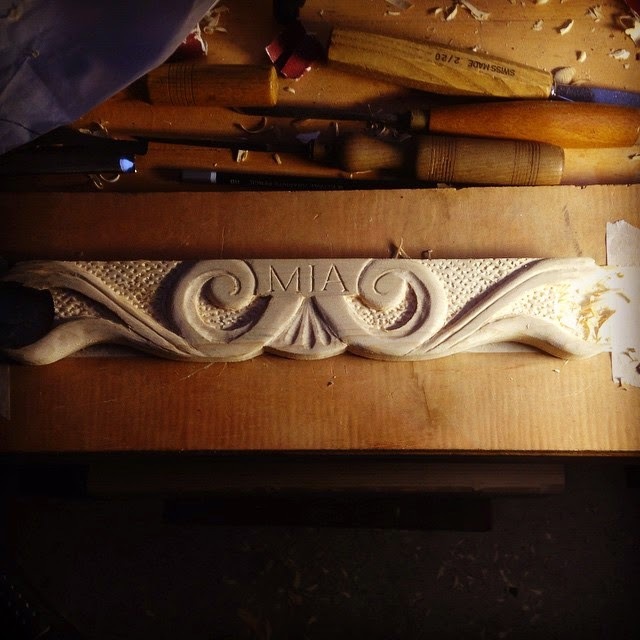 Obviously my entire day was not devoted to this one carved part. The rest is pretty much all complete and ready to glue together, but I wanted to keep people guessing as to what it could be. 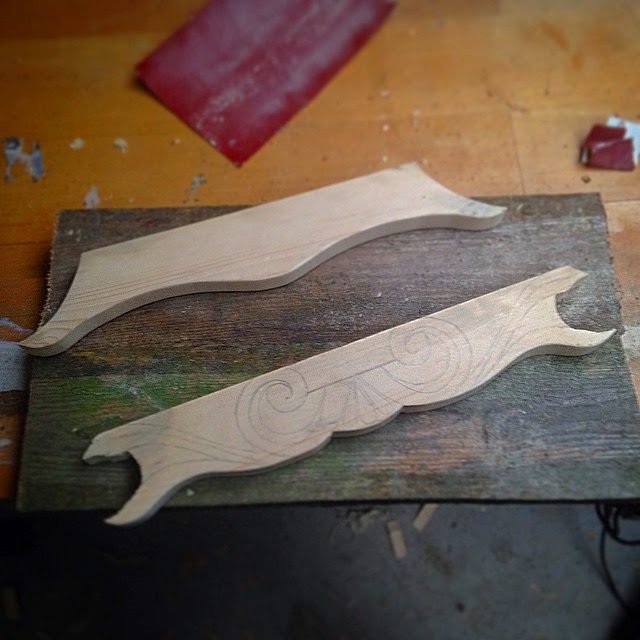 The first picture is all the wood that’s being used in the project, so it’s something small! Just for a bit of fun, guesses in the comments section bellow! It shall all be revealed soon! I'm going with a the fact that a new baby is on the way and that is the name plate for the Bassinet. Afraid not Peter. Good idea though! The picture on the left showing 3 cut pieces of pallet wood makes up the entire piece! The video is nearly complete of the build and just need to complete the finish on it now, then it shall be revealed.